Aided by UNG student representatives and faculty, top high school students from around the state enjoyed various activities during the Summer Honors program, such as hiking and rock climbing on Mount Yonah. More than 30 elite high school students from across Georgia spent two weeks this summer at the University of North Georgia (UNG) experiencing life at college. UNG's Summer Honors program features events and activities to engage rising high school seniors in activities typically not offered until undergraduate- or even graduate-level college instruction, such as intensive research projects. The majority of the students who participated this year are in the top 5 percent of their high school class rankings, with the remainder in the top 10 percent. 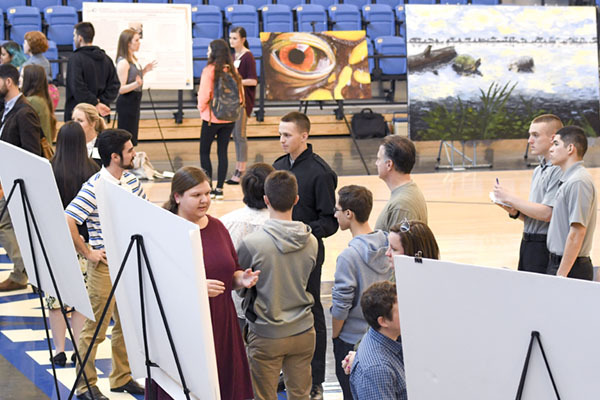 Groups of UNG faculty, staff and students hosted the honor students during their visit, which included an overview of UNG's majors and courses. 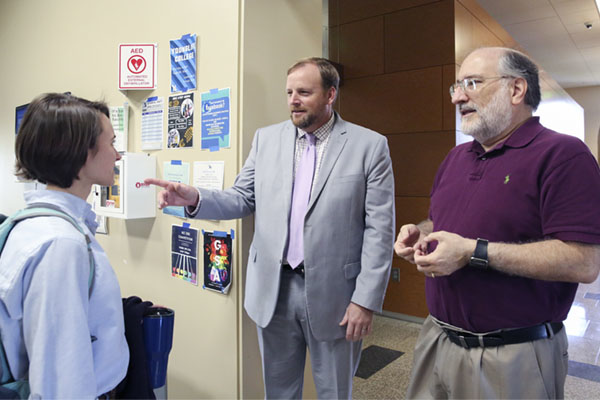 "Summer Honors continues to introduce high school students to the many opportunities they can find as undergraduates at UNG," said Dr. Robb Sinn, director of Summer Honors. 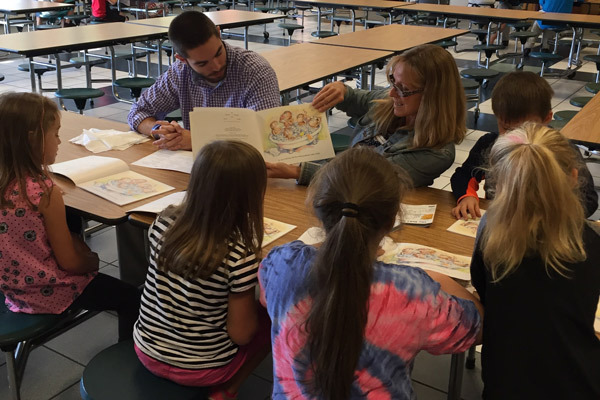 "This year we were able to showcase both the Dahlonega and Gainesville campuses through a variety of activities and enrichment exercises, including an in-depth look at Gainesville's geographic information systems (GIS) program." research projects to Summer Honors students. Zac Miller, lecturer of geographic information systems, accompanied the students during a rock-climbing and hiking trip on Mount Yonah. Students used climbing and belaying skills learned earlier during leadership events at UNG's Pine Valley Recreational Complex. Each pair of students used a handheld global positioning satellite (GPS) device to collect location data during the hike and rock-climbing maneuvers. "Later, the students joined us on the Gainesville Campus and spent the day learning about geospatial technology," Miller said. "Some of our topics included how the GPS system works, how to download the data they collected into a desktop computer, and how to view and analyze the data using the programs ArcGIS and Google Earth. The hands-on portion of the day culminated in students producing their own map of their hike on Mount Yonah." Along with Miller's interactive project, the students were also exposed to GIS through research projects showcased by Chris Strother, a geospatial technology researcher at UNG's Lewis F. Rogers Institute for Environmental & Spatial Analysis, and Dr. J.B. Sharma, assistant head of UNG's Department of Physics. Sharma's presentation included a demonstration of unmanned aerial vehicle technology. Dr. Eric Skipper, UNG's dean of honors and graduate studies and acting CEO of the Oconee Campus, said that these kinds of experiences are critical in building interest and confidence among students preparing to go to college. "Experiences like those offered in Summer Honors are hard to come by before becoming a college student," Skipper said. "Helping them to realize the full scope of what they can enjoy and pursue as undergraduate students while they are still in high school leads to greater interest and success in their college careers."